A body parts boardgame for younger children. What they have to do is roll the die and name the body part they fall on. I use it for my kindergarten classes and it works great. The above downloadable worksheet is meant for elementary school students and kindergartners and nursery school students at Beginner (pre-A1) level. It was designed for improving your students' Speaking skills. 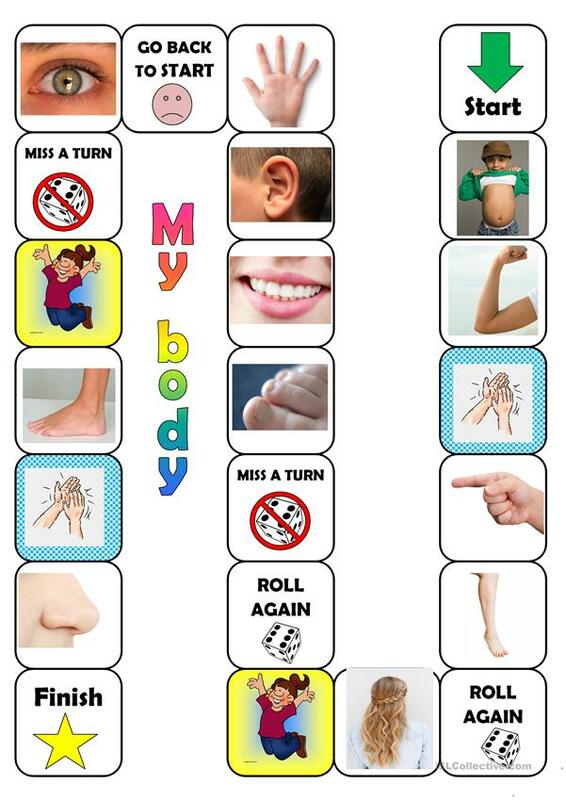 It focuses on the vocabulary topic of Body parts. adrastea87 is from/lives in Spain and has been a member of iSLCollective since 2012-06-18 23:09:31. adrastea87 last logged in on 2019-04-03 11:51:04, and has shared 3 resources on iSLCollective so far.